Hey, everybody! Sorry for the lack of recent updates. Mikey and I have been slackin’ on our pimpin’ over the past few days, livin’ it up and enjoying the good life. But don’t you worry; we’ve also been eating some good stuff and will be writing all about it this week. Coming up, we’ve got some fine Italian food, a new episode of The Catch, a pizza that might be our highest scoring ever and some authentic Mexican cuisine. But for tonight’s post, I’ve got the latest and greatest BBQ in our area. 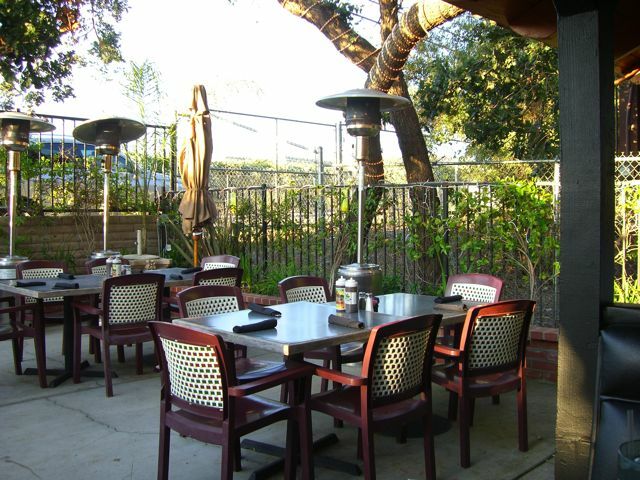 Willy’s Smokehouse – Just off the 101 at Chesebro, in Agoura Hills. For those of you who don’t know, we’ve been doing quite a bit of BBQ lately. We’ve had good experiences and bad, but I think Willy’s has emerged as my latest favorite. Willy’s is a small place, right beside the freeway, and if you’re not looking for it you’ll drive right past. That would be a huge mistake though, because the barbeque is as down-home and delicious as you’ll find anywhere in L.A. I originally heard about this place through a friend who works there. Usually I take these kinds of recommendations with a grain of salt because, as an employee, he or she has a vested interest in the restaurant doing well. So I looked it up on a few of the rating sites and verified the legitimacy of Willy’s. It checked out, so I decided to check it out. My friend and I rolled up at around 7:30pm on a Tuesday night. It wasn’t too crowded, which made me think that either a lot of people still don’t know about it, or they just can’t find it, call off the search and settle for the Wood Ranch down the street. Fine by me. It was a nice night, so we snagged a booth outside on the patio and started looking over the menu. 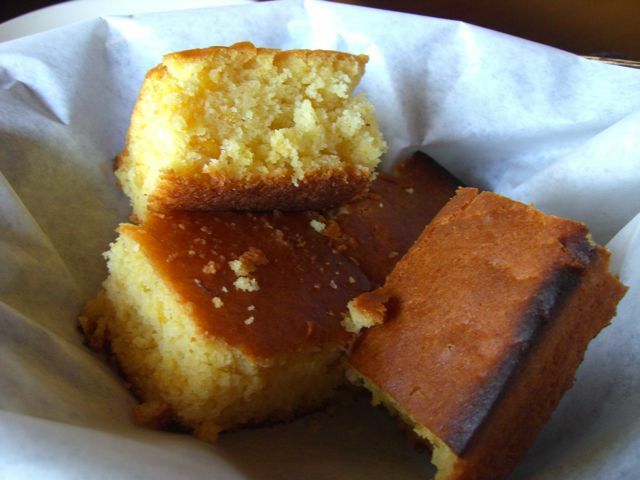 Oh, by the way, instead of bringing out rolls, they started us off with some awesome cornbread and softened butter. We decided to both get combo plates and share so that we could get a good sample of the BBQ offerings. I chose the baby back ribs and hotlink, while my friend got the pulled pork and brisket. I’m not going to lie. The baby backs were the highlight of the meal for me. The meat just came right off the bone in one bite and there was plenty of it. The regular barbeque sauce that they use is smoky and sweet. 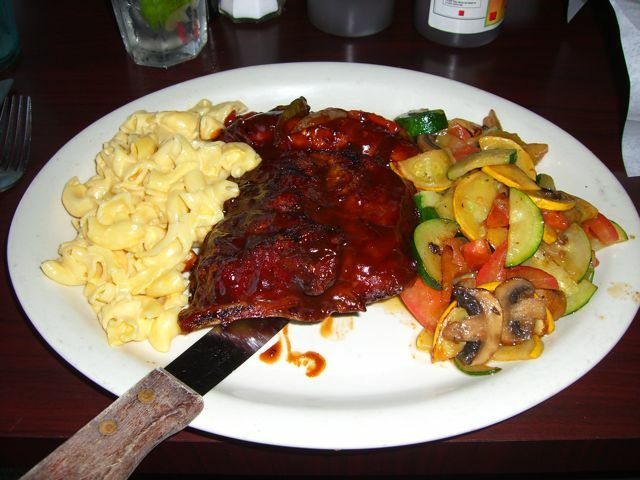 It was the perfect compliment to the tender, juicy ribs. The “Turbo” is a sauce that incorporates the heat of scotch bonnet peppers, along with the flavor of passion fruit. It’s spicy, but not so much that it hurts and that sweet passion fruit flavor gives it something that I’ve never really had in any other barbeque sauce. The “Nytro” is just good old-fashioned heat, using habenero peppers as its base. 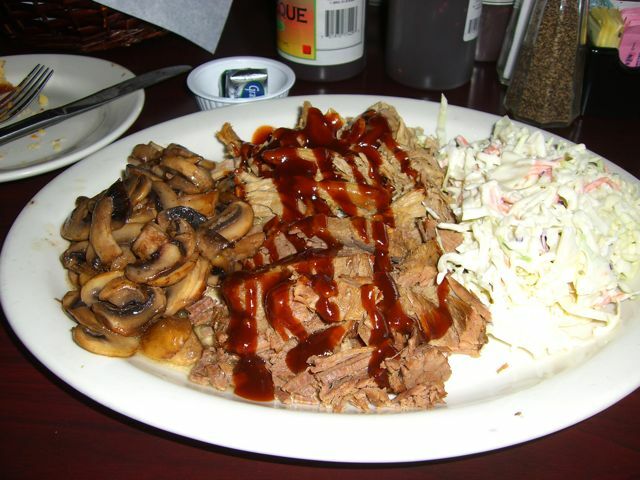 Even if you don’t like the hot stuff, the regular BBQ sauce is more than flavorful enough and really helps to bring out the best features of Willy’s slow smoked meats. Despite the fact that the brisket was a little less hearty than I’m used to, there’s no disputing the fact that the taste was magnificent. I can honestly say that there was nothing I tried, including the mac and cheese and coleslaw I got as sides, that I didn’t enjoy immensely. On a side note, I hate coleslaw. I won’t even eat my Mom’s coleslaw and she’s probably going to want to kill me for laying her out in public like this. But this was no ordinary coleslaw. It was light. It was crunchy. It was sweet. It was nothing short of amazing. They must have sprinkled some crack in it before bringing it out to the table. For dessert, we opted for the bread pudding, which was more like French toast than any bread pudding I’ve ever had. The scoop of vanilla ice cream was huge and the raspberries were ripe and fresh. 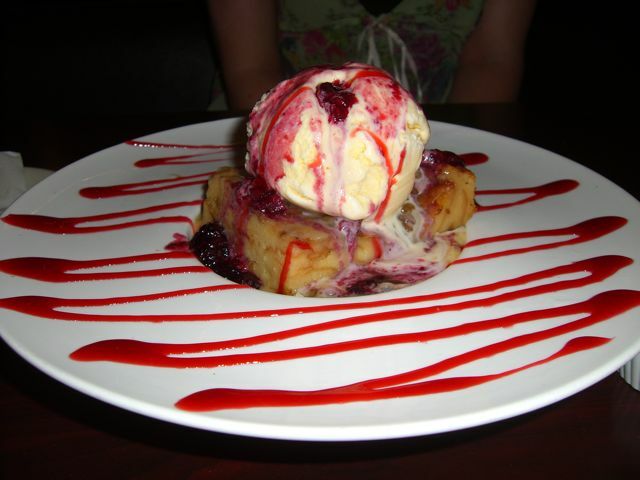 I also liked the fact that it was served in a unique bowl/plate, which allowed the ice cream to melt into the bread pudding and create a whole other dimension of sugary goodness. I gotta say, this is probably one of my least favorite posts to write because I liked everything. Even my lonely complaint about the brisket was pretty weak. If that doesn’t tell you how much I liked the place, then nothing will. Anyone in Ventura County who doesn’t give Willy’s a chance deserves to have his or her barbeque privileges revoked. That’s right near my old hood. Sounds and looks so good, wish I were there to try it! Liz, you should plan a special trip out just to try this place. It’s that good. i can’t wait to actually go to dine in house!!! I can’t believe I ate there before you did.